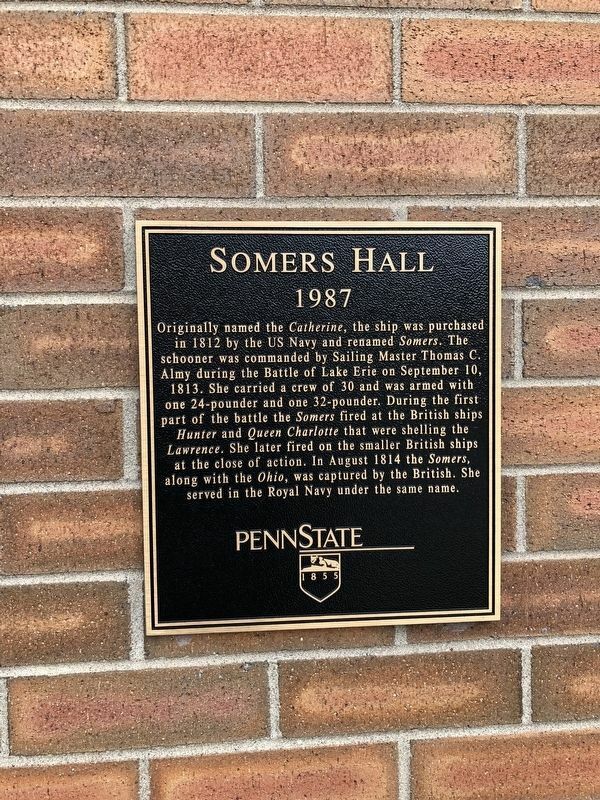 Originally named the Catherine, the ship was purchased in 1812 by the US Navy and renamed Somers. The schooner was commanded by Sailing Master Thomas C. Almy during the Battle of Lake Erie on September 10, 1813. She carried a crew of 30 and was armed during one 24-pounder and one 32-pounder. During the first part of the battle the Somers fired at the British ships Hunter and Queen Charlotte that were shelling the Lawrence. She later fired on the smaller British ships at the close of action. In August 1814 the Somers, along with the Ohio, was captured by the British. She served in the Royal Navy under the same name. Location. 42° 7.041′ N, 79° 58.907′ W. Marker is in Erie, Pennsylvania, in Erie County. Marker can be reached from Jordan Road south of Technology Drive, on the left when traveling north. Touch for map. Marker is in this post office area: Erie PA 16510, United States of America. Touch for directions. (within shouting distance of this marker); Packet Hall (within shouting distance of this marker); Turner Hall (within shouting distance of this marker); Ariel Hall (within shouting distance of this marker); Scorpion Hall (within shouting distance of this marker); Champlin Hall (within shouting distance of this marker); Elliott Hall (about 300 feet away, measured in a direct line). Touch for a list and map of all markers in Erie. More. 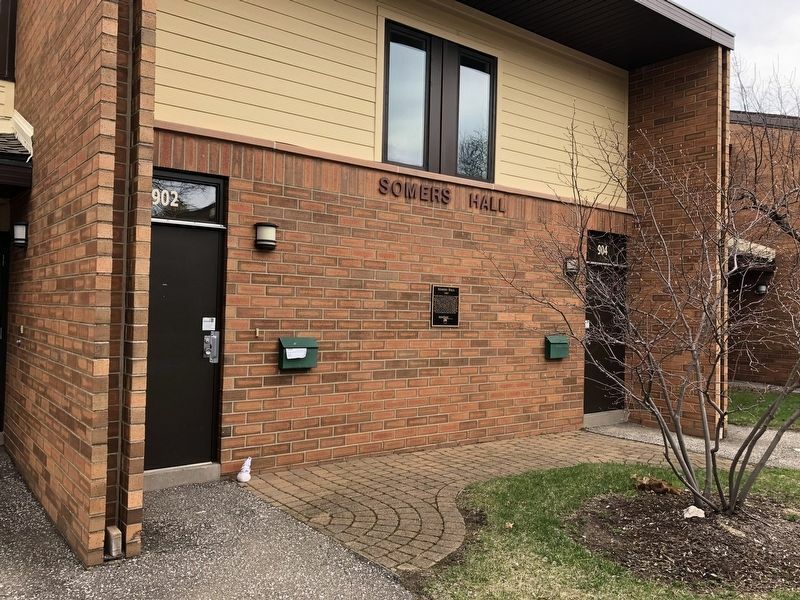 Search the internet for Somers Hall. Credits. This page was last revised on April 15, 2019. This page originally submitted on April 15, 2019, by Devry Becker Jones of Washington, District of Columbia. This page has been viewed 70 times since then. Photos: 1, 2. submitted on April 15, 2019, by Devry Becker Jones of Washington, District of Columbia.